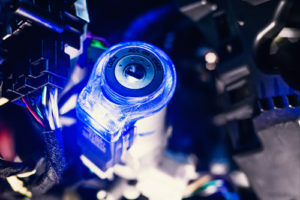 Tips to Maintain the Ignition Module in BMW | Bavarian Auto, Inc.
so that you can continue to enjoy high quality vehicle performance. One of the first signs that the ignition module is failing comes from your BMW’s engine. If you’re starting to notice misfiring, reduced fuel efficiency or a loss of power when accelerating then there’s a good chance that something is wrong with the ignition module. Another engine-related sign that something is wrong is if your engine continues to stall. 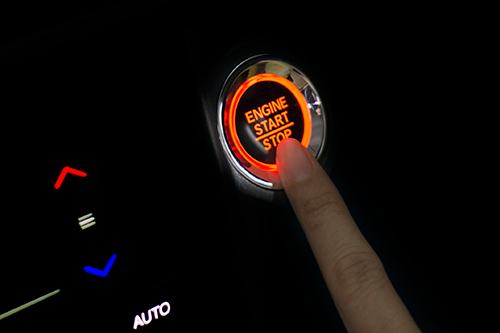 A faulty ignition module can cause the engine to stall and be unable to start up again. Usually after waiting a few minutes for the module to cool off you will be able to start the engine again but if this happens you should immediately seek out the help of a trained mechanic. Your BMW’s ignition module is one of the components that controls the engine spark so if your car won’t start or run then there’s a good chance it’s related to the ignition module. Your car may still crank but without the spark it won’t be able to turn on or drive so the part will need to be replaced as quickly as possible. Since the ignition module is electronic it isn’t as prone to failure or other issues as a part with moving components would be. Issues with the ignition module are usually caused by heat from improper wiring to the battery. The best way to ensure that nothing is wrong is by including ignition system checks in your routine maintenance and service appointments. Checking the ignition module itself is typically saved for after every other component in the ignition system has been checked for issues so having the area routinely inspected will make it easier to find issues early on. requirements so make sure your mechanic checks these and all components in your ignition system. Preventative maintenance goes a long way towards helping you avoid expensive repairs and headaches. For years the expert mechanics at Bavarian Auto have been helping BMW owners in and around Chattanooga, TN and the surrounding areas. Our mechanics have decades of experience working with BMW vehicles and know the ins and outs to identifying issues with the ignition module and the entire ignition system. When you notice one of the above signs or symptoms we will perform a complete diagnostic test using the latest equipment to find even the smallest developing issue. If your BMW does have a problem with the ignition module we can make sure to replace it before the problem spreads to other parts of the ignition system and restore your car’s performance to the high quality you’ve come to expect. Our shop also offers full BMW preventative maintenance services along with following your model’s specific service plan at a fraction of the cost of the dealership. If you’re in the Chattanooga area and would like to schedule an appointment for services or ignition module repairs with one of our mechanics please call or visit Bavarian Auto today. You need your engine to be at its’ best each time you get behind the wheel and we will help keep it that way.